Built on over 25 years of reputation, Vasanthaa Architect & Engineers is a highly respectable builder of quality homes and apartments. 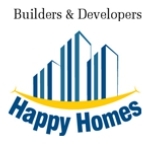 Founded by professionals with wealth of experience and expertise in the real estate and construction fields, the company has grown over the years with their creative ideas and solutions that make living in a home a pleasure for life. At Vasanthaa, we believe that home is the most intimate space for its owner. And accordingly, we ensure that every part of the home reflects every aspiration of a family’s lifestyle and personality. Apart from building beautiful landmarks, we also specialize in constructing customized spaces that meet your family’s unique needs. Right from the layout to the end process of construction, we ensure that every space is a livable delight. With an efficient team of professionals led by A Srinivasa Reddy, an experienced builder with an impeccable reputation of being a meticulous person firmly committed to quality in all ways, the company takes pride in building ventures that stand testimony to Vasanthaa’s aesthetic designing and quality construction capabilities. Vasanthaa also offers a full array of architectural and interior design services that reflect the vision and goals of clients. Working with them, we thoroughly understand their functional needs, concerns, and the long-term impact of the same and accordingly fine-tune our services. Always breaking new ground, our approach is to work as a catalyst for our client’s aspirations and dreams. Today, the company is widely respected for its accomplishments, integrity and vision. As a people-oriented company, sensitive to the needs and concerns of its clients, Vasanthaa Architect & Engineers aims to continue to set the standard for excellence in the real estate community.